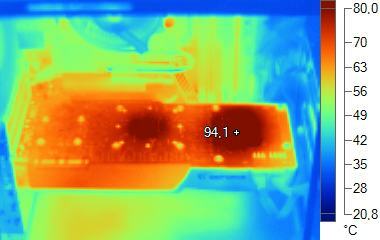 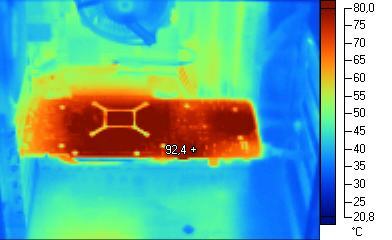 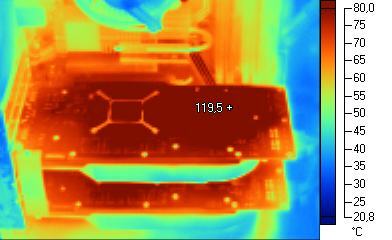 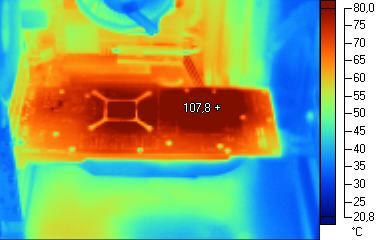 Hardware.fr has tested several graphics cards to show GPU temperature and heat emission using thermographic imaging. 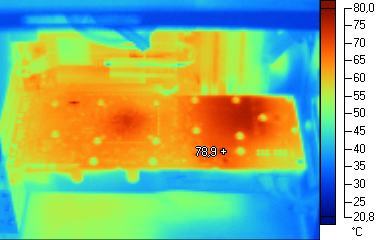 From wikipedia, thermographic cameras (or infrared cameras) detect radiation in the infrared range of the electromagnetic spectrum and produce images of that radiation. 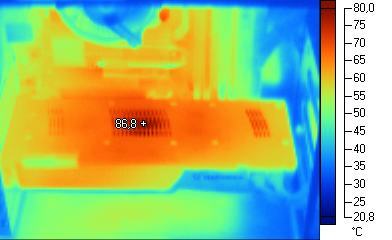 Since infrared radiation is emitted by all objects based on their temperatures, according to the black body radiation law, thermography makes it possible to “see” one’s environment with or without visible illumination. 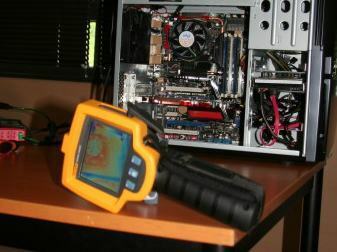 To heat up the videocards, the pixel shader test of 3DMark 2006 has been used in loop mode during 30 minutes. 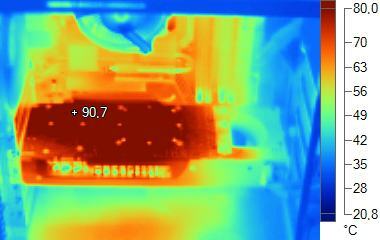 After 30 minutes, the test is briefly stopped, and re-launched. 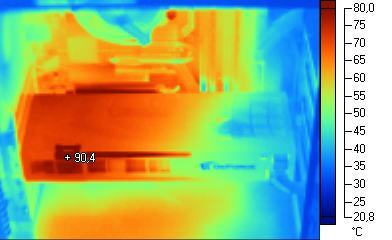 After 15 minutes, thermal images are shot. 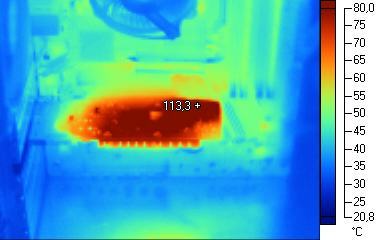 Under loading, GeForce cards give out less heat than Radeon ones. 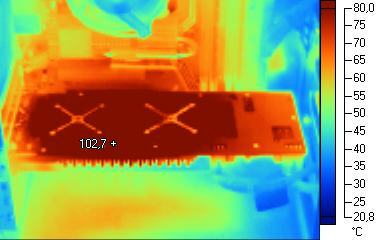 This fact is not caused by the GPUs but by the videocard power supply module that heats up more on Radeon boards.